Pre-orders have been opened for the new Ghostbusters Egon Spengler 1/4 Scale Statue coming from Hollywood Collectibles. This is the fourth 1/4 scale Ghostbusters statue from HCG. Previously, they had shown Ray Stantz, Peter Venkman, and Slimer statues. The statues features Egon holding his Neutrona Wand and standing atop a Ghostbusters logo base. The statue will stand at 19″ tall. There will be a standard and an exclusive version. The HCG Exclusive includes an alternate swap out portrait. Each version is priced at $399.95, with payment plans available. Check out the links and details below. After the &#187; Continue Reading. 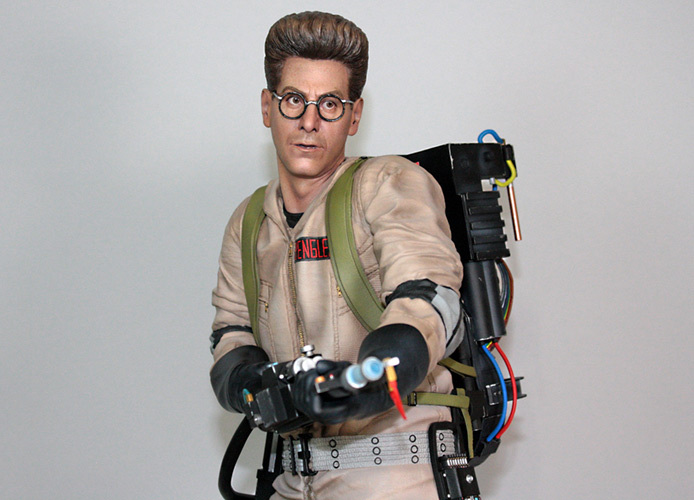 The post Ghostbusters Egon Spengler Statue by Hollywood Collectibles appeared first on The Toyark - News.